As a forty-year Alaska resident I never grow tired of seeing moose. 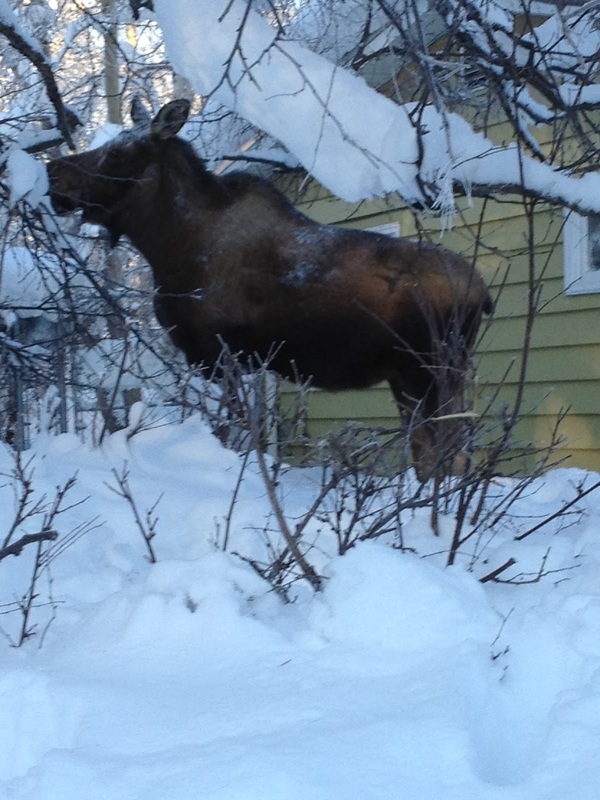 Moose sightings are common in Anchorage. 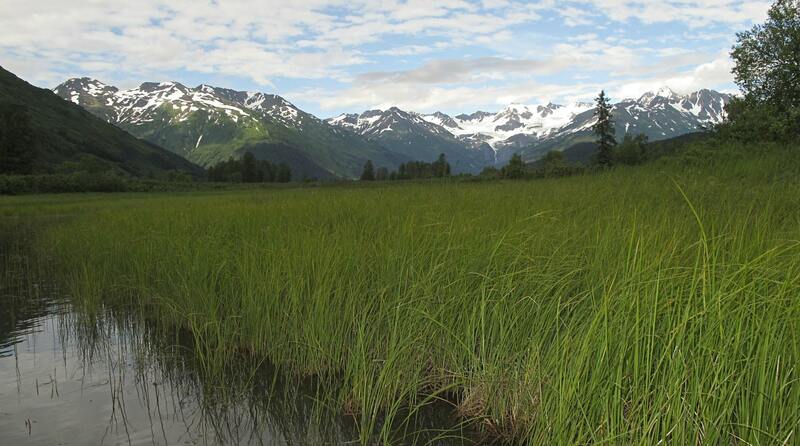 A recent Alaska Department of Fish and Game aerial survey counted more than 1500 moose in Anchorage. 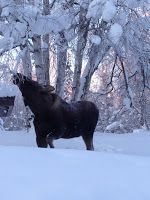 It is common to see moose on a daily basis during the winter months. I still open the curtains each morning and look for moose in the yard. Often one or two are there since Camai Bed and Breakfast is on Chester Creek. When driving through the neighborhood and around town, I also pull over and take pictures of moose – they are always worth photographing! Since I walk some of Anchorage’s trails, it is important to know what to do when you encounter a moose. Do not feed a moose. 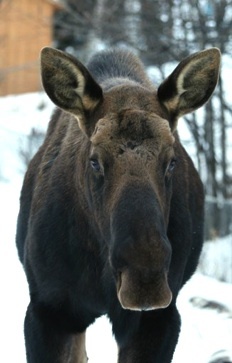 It is dangerous to you and to the next person a moose comes to expecting food. Besides this you can be fined for feeding moose. If you see a calf look around for its mother. Do not get between a calf and a cow. If you are in that situation, move out of it quickly. One winter my son, my daughter, her college roommate were skiing. The college roommate fell, looked up, and discovered she was between a cow and calf. My son skied to her, got her back on her skis and out of peril. For as gangly as moose seem they can be extremely fast. Think of a 1500 pound rabbit running. Always try to get out of the moose’s way. If you cannot and the moose tramples you, curl up in a ball and lie still until the moose leaves. Right! I hope I never have to do this. One of my 86-year-old friends who was training for a 5 mile race using the Tony Knowles Coastal Trail did have a moose trample him. He was so stunned that he just lay there. The moose went away leaving him with only bruises. We love and respect our moose. This entry was posted in Attractions, Winter and tagged Attractions, Winter by admin. Bookmark the permalink.